While the FAA does not routinely evaluate the behavioral health of pilots, they do require applicants to voluntarily report all mental issues since birth. Despite widespread miss-interpretation by many pilot associations, the present FAA policy effectively prohibits the use of most psychotropic/mood ameliorating medications. The FAA has approved approximately fifty (50) Class-One airmen and less than 200 pilots in any certification class have been approved under the FAA’s antidepressant protocol. In early 2010 the FAA announced isolated approval of four(4) antidepressants known as Selective Serotonin Reuptake Inhibitors (SSRI’s) such as Celexa (Citalopram Hydrobromide), Lexapro (Escitalopram Oxalate), Prozac (Fluoxetine Hydrochloride), Zoloft (Sertraline Hydrochloride). The FAA has stated that Wellbutrin (Bupropion) will be added to the list as another antidepressant which may also be acceptable on a case by case basis. Other medications not specifically listed may also be favorably considered by the FAA. While these medications may be approved, this rarely occurs and is generally not allowed if there is a significant medical diagnosis which requires medication to assure safe function and behavior. Authorization must be obtained from the Aeromedical Certification Division of the FAA in Oklahoma City. Aviation Medical Examiners (AME’s) are not authorized to approve certification for airmen with the aforementioned behavioral-medical history and they will defer the application to Oklahoma City FAA. The deferral process usually takes 4-6 months without our service. I have been flying for 25 years. I used to fly every day but over the last few years I fly much less. I am much less comfortable flying into certain areas and under certain circumstances which I used to routinely fly. It is not hard to see why the FAA doesn’t want someone with a compromised mental status to fly. It will be interesting to see how many accidents occur now that Basic med and sport pilot are out there since private physicians will not balk at the use mental medications. There is no question that pilots can safely fly on some psychiatric medications. The difficulty is determining which pilots can fly safely and which are potentially unsafe. The system is designed to assure no false negatives. In other words, the FAA doesn’t want to certify a pilot who appears to be fine only to learn through tragedy that the airman was not fit. The key to all medical certification issues is providing the FAA with objective information which indicates essentially normal mental functionality. Anything less is deemed jeopardizing. Just heard from a friend who made captain recently but lost his medical due to an argument with a flight attendant. How is that possible? What medical/legal grounds does the FAA have for that? Unfortunately this is not the first and probably will not be the last. There are many scenarios which can result in psychiatric or psychological testing and the results are often not what is expected. I’ve seen other pages on your website that state that Wellbutrin is not approved whatsoever by the FAA. Is there a recent change to the rules that now permits Wellbutrin on a case-by-case basis? If so, is it in effect yet? I’m a new student pilot with commercial aviation aspirations and I have been taking Wellbutrin for over 2 years now (same dose for over a year), with significant improvement in my condition since then. I have set up an appointment with a HIMS AME in my area to start the process of obtaining a Special issuance certificate (third class). I will of course be providing the AME with all records from my psychiatrist. I have seen conflicting viewpoints on Wellbutrin’s acceptableness on other websites too. At one point I was also taking Prozac, but it has been over 6 months since I have stopped taking it, with no adverse affects. Ultimately my question is, will I be immediately disqualified from obtaining a medical certificate due to the medical/pharmaceutical history I’ve described above? Or will I be able to proceed with the process of obtaining a special issuance medical certificate. Greatly appreciate some guidance. 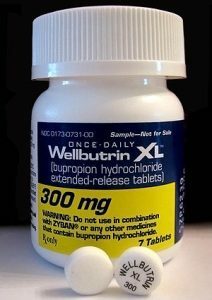 While Wellbutrin is not currently on the FAA accepted list for flight deck use, the FAA has stated they are in the process of approving this medicine. So cases are stacking up at the FAA in order for them to pick the ones they might approve. It is important to note that even the drugs which they list as approve are rarely approved by the FAA. It would be best if you contact us at 405-787-0303 to discuss the details of your case and establish eligibility for certification. Past basic med erroneously in 2017 my AME signed me off after a physical. I completed a bi annual flight review with a cfi and then got a letter from the faa saying it was all for naught because I didn’t have a valid med certificate after 2010. In the basic med application I revealed that I take low dose lexapro. Bam… Now I have to see a HIMS, $800. Next a shrink, S2000. Next a Neurophsycolgist for a cog screen $2000. If I fail any of these I’m out the money. If I pass but the *#@ches at the faa are in a bad mood they will still denied the cert. As it stands now I can’t even fly light sport. Thanks to misunderstanding basic med I gave the faa all they needed to keep my out of private aircraft for good. So much for the bill of rights in regard to the pursuit of happiness. You can try, right up to the point where the government says “no you don’t”. The bill of rights goes right into the bureaucratic *#@t can. We can’t save you the cost of the testing but we do provide free consults. The consults often provide information that can substantially reduce the time it takes to get certified. This is a common question. Many believe that pilots are just as likely as the general population to have issues such as depression. Reportedly about 17 percent of women and 9 percent of men report antidepressant use. And these medications are used for other conditions besides depression. We speak with pilots every day who want to “come clean” with the FAA on these issues. Often they are scrambling to report a mental issue because the FAA has asked them about it or they fear someone will report them. Doctors are trained to pick up significant cognitive or mental impairment and the FAA has other pathways for this issue. The main one is the toll-free anonymous hotline. The important part is that if all paths for discovery fail and the pilot fails to report it he/she will be witholding something which the FAA often approves.